We've a soft spot for Resistance 2 and Japan. Why? Because the game's marketing there was vastly superior, and also because it's led Sony Japan to come up with adorable little bundles like this. 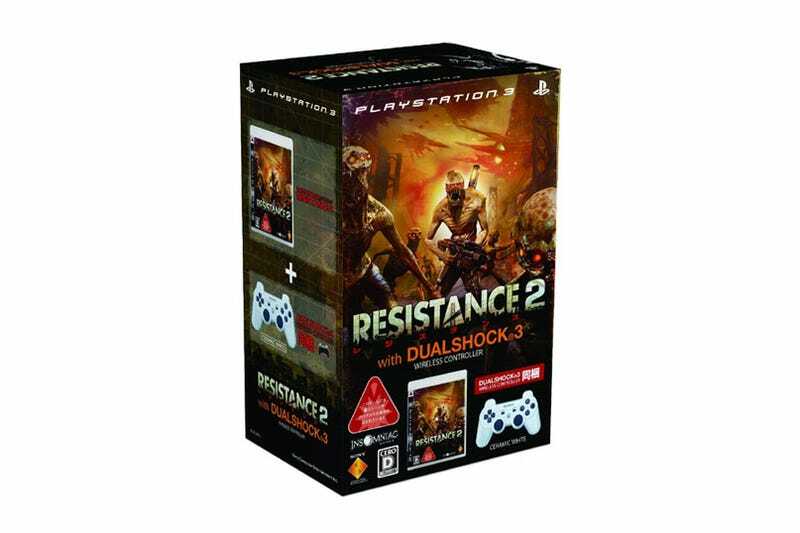 To be released on March 12 for ¥8980 (USD$95), the little box will include a copy of Resistance 2 along with a DualShock 3. While the box pictured has a white controller, Sony say the pack will also come in black and silver as well. We'd recommend the white one, as we do in all DualShock 3-related matters. Its matte finish just feels better.